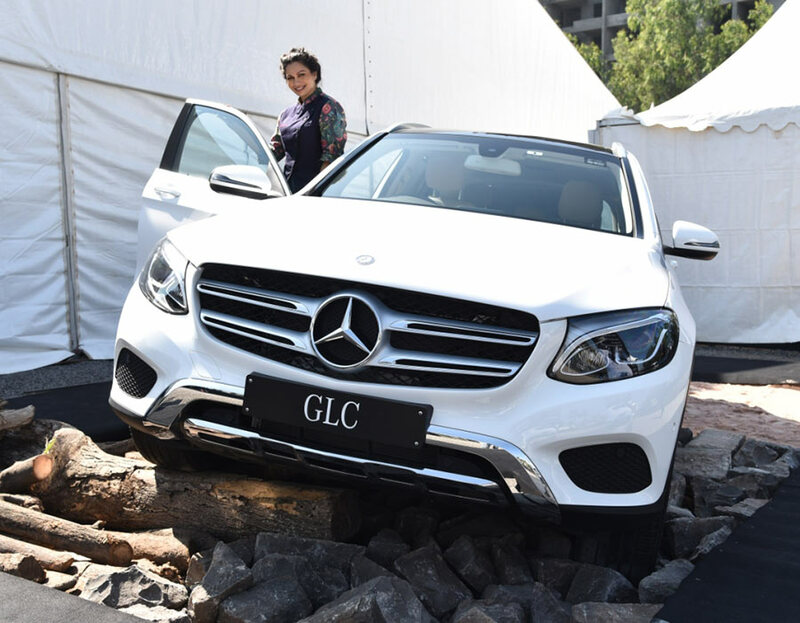 India’s prominent luxury car maker, Mercedes-Benz brought its unique customer engagement programme ‘Luxe Drive’ to Pune. Luxe Drive is based on three strong pillars of Adrenaline, Design and Gourmet. It provided a superlative luxurious experience to the patrons which left them spell bound. Mercedes-Benz organized this event to build a stronger customer base and also to attract potential customers in the city. The event took place at Laxmi Lawns, 133, Magarpatta, next to Magarpatta city at Hadapsar in Pune. 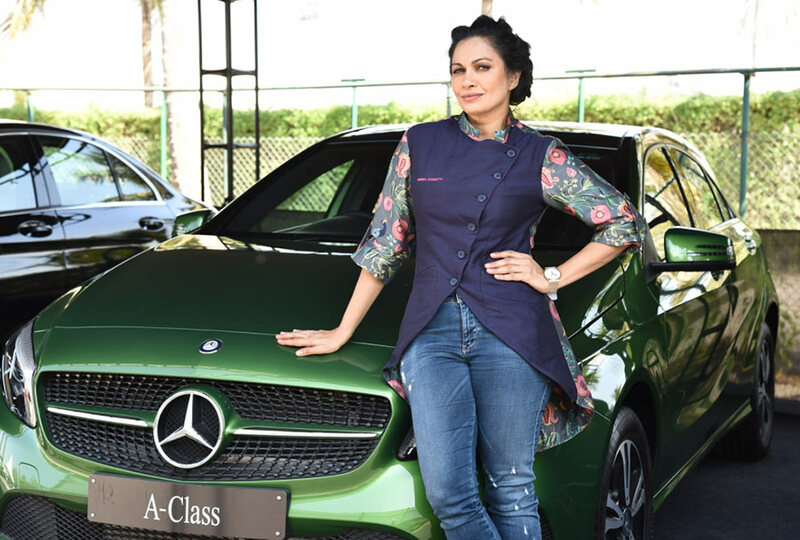 Mercedes-Benz wants its customers to experience comprehensive luxury; this was enhanced by associating with the very talented Gauri Khan whose exclusive collection of ‘Gauri Khan Designs’ was on display. The event was graced by Writer and YouTube cooking sensation, Maria Goretti who whipped up some lip-smacking dishes for the people present there. Patrons got a chance to experience and test drive the best of Mercedes-Benz cars on the special track. Pune is home to Mercedes-Benz, it is one of the fastest growing cities in the country. The city boasts of a young population, an urban set of students and young working professionals. This has given rise to the development of mid and large scale industries and good infrastructural facilities. With our unique customer engagement initiative, Luxe Drive, we want to create a lasting bond with our existing customers and attract potential customer base in the city. Luxe Drive provides an apt opportunity for us to engage with our patrons and brand enthusiasts on a personal level. In line with Mercedes-Benz’s ‘Winning’ strategy for 2016, we also plan to bring many such amazing events in the future to delight our customers. A wide range of Mercedes-Benz cars were on display and the patrons could also experience it on a specially designed track that showcased the technological prowess of the cars. The participants were driven by a team of expert drivers and had a chance to experience car’s various dynamics and features both on-road and off-road. The visitors also experienced the memorable ‘Ah My God!’ feeling with the range of breath taking AMG range of performance cars by the brand. The event had in store something for everyone, right from children who could enjoy themselves in the fun-filled zone specially created for them to the extreme brand loyalists who could pick some exclusive Mercedes-Benz merchandise. The MercedesTrophy zone had exclusive MercedesTrophy goodies on display that kept the participants and families engaged throughout. The Mercedes-Benz pre-owned car sales team also organized a free car evaluation where in a special trade-in opportunity was provided along with personalized finance options.